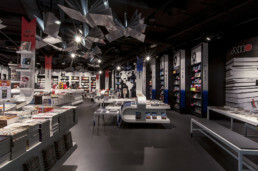 Tjep. 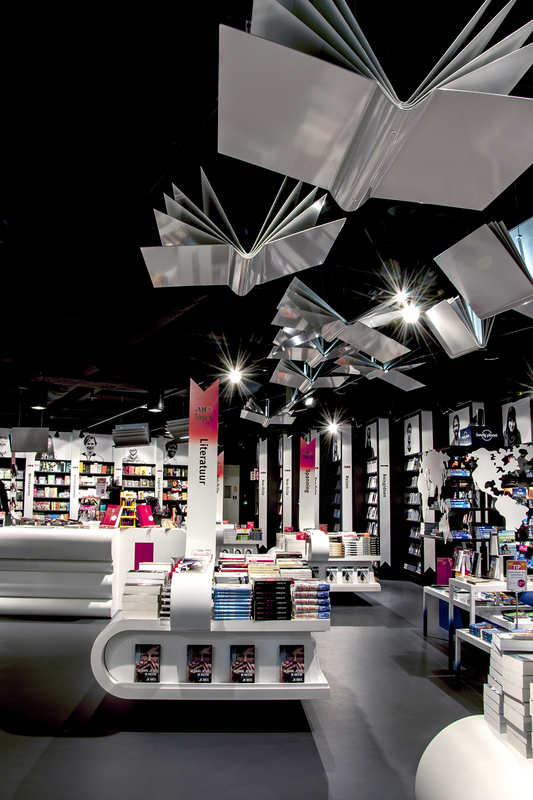 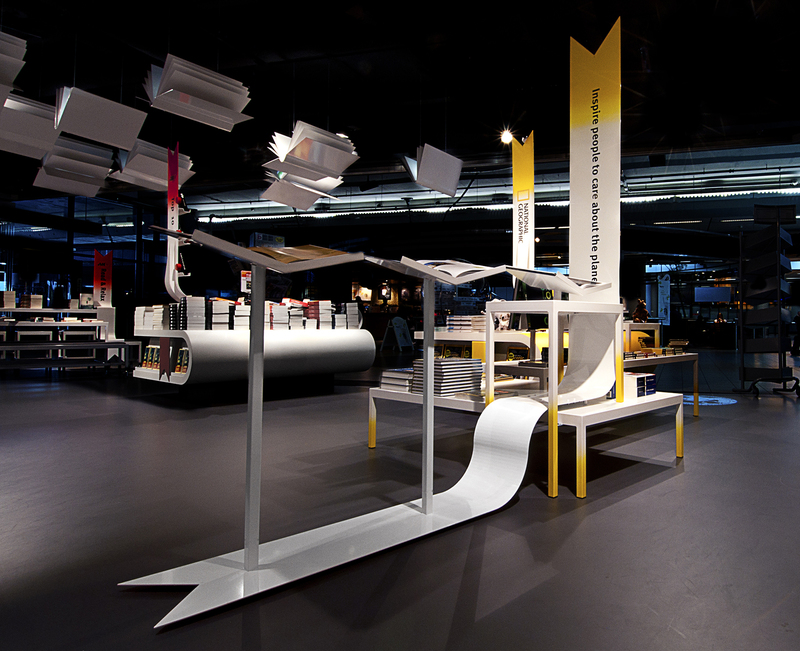 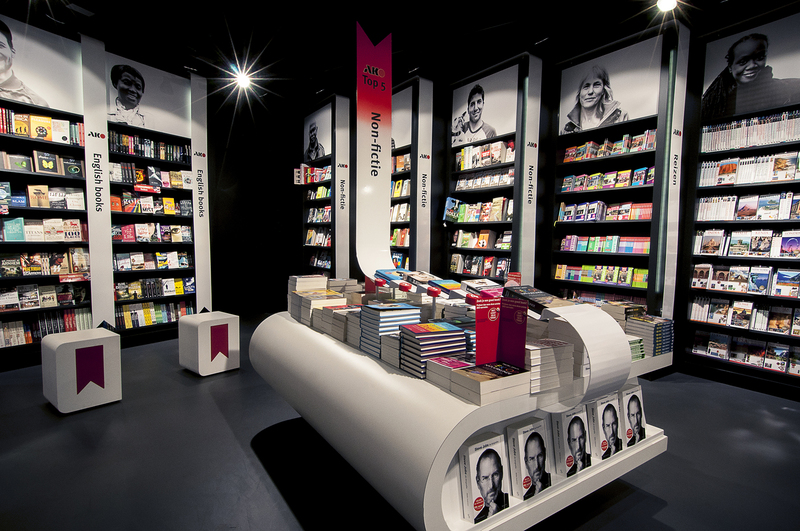 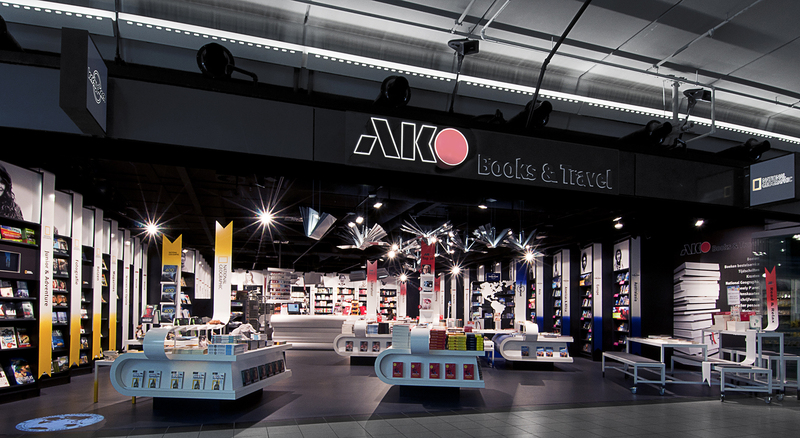 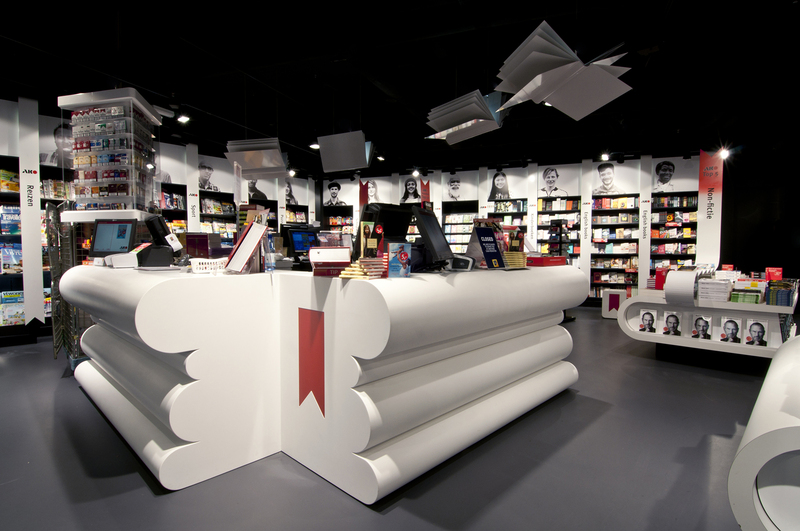 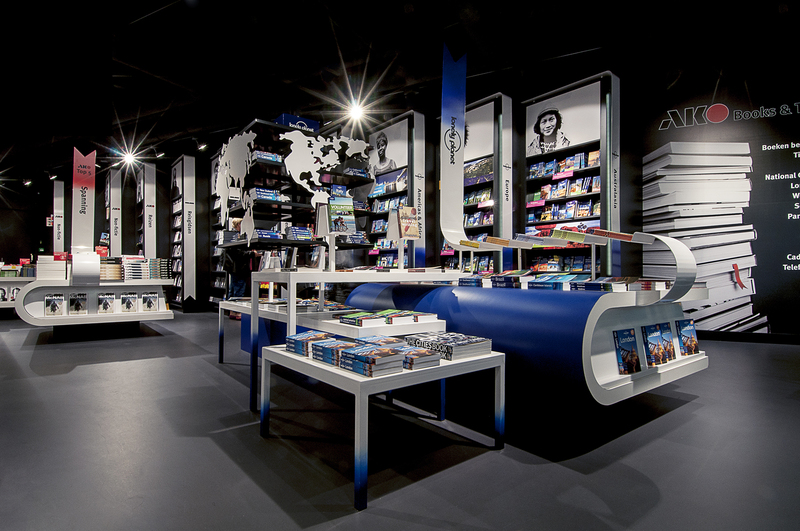 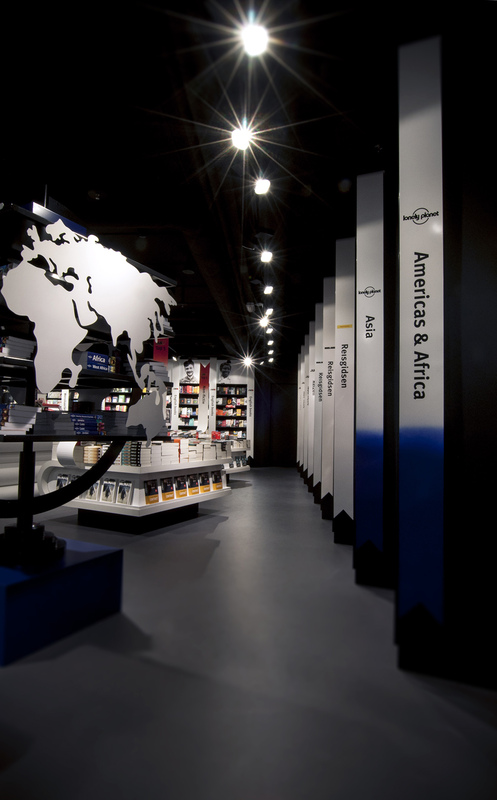 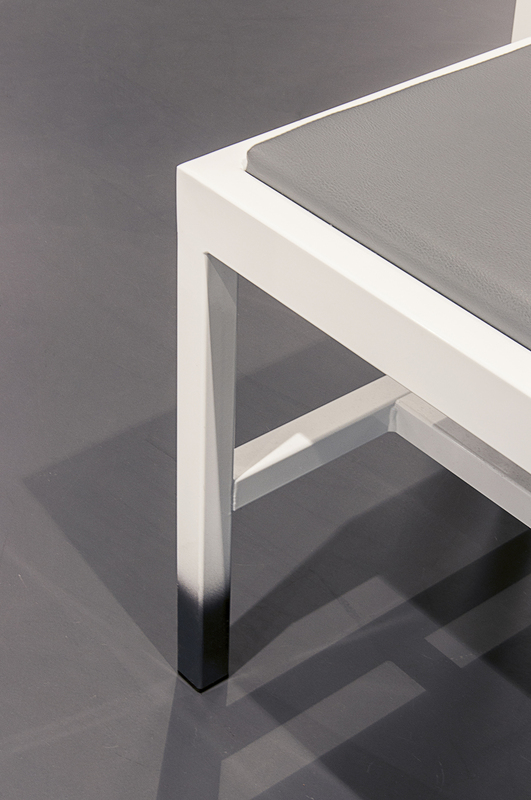 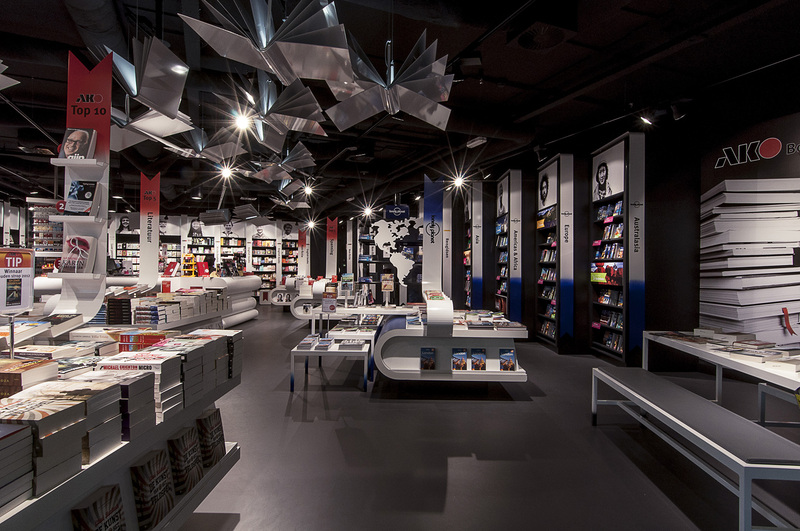 was responsible for the interior design of the AKO flagship store at Schiphol Airport. 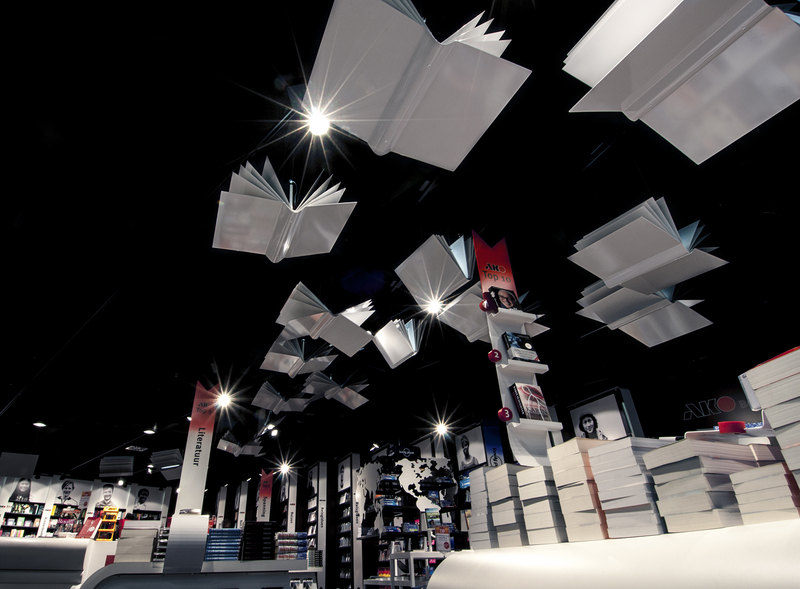 For this project we were inspired entirely by books, from the book displays, to the flying book light fixtures and the checkout counter reminiscent of a stack of books. 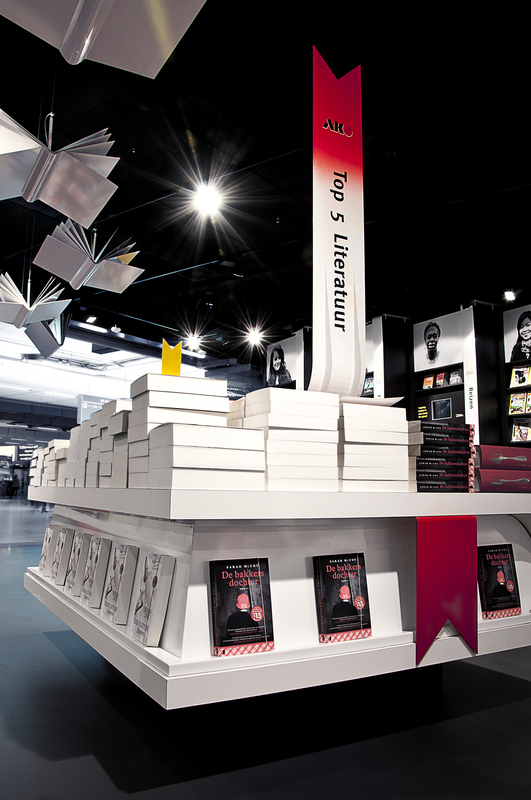 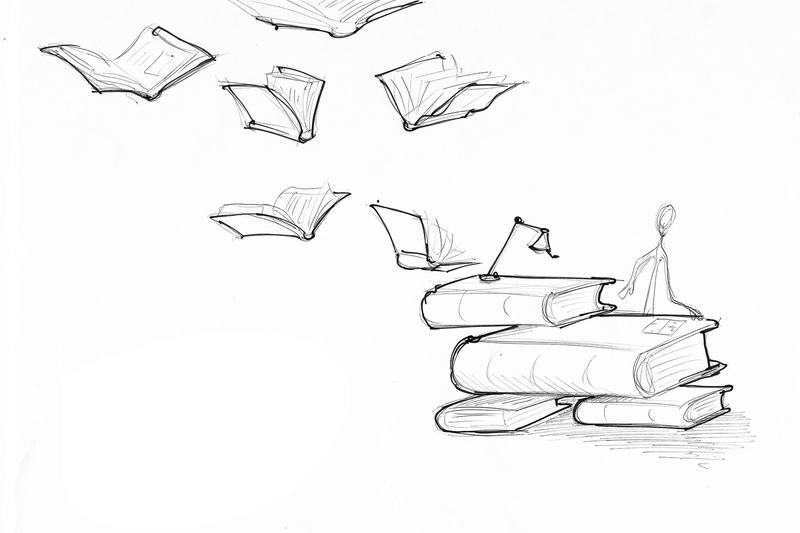 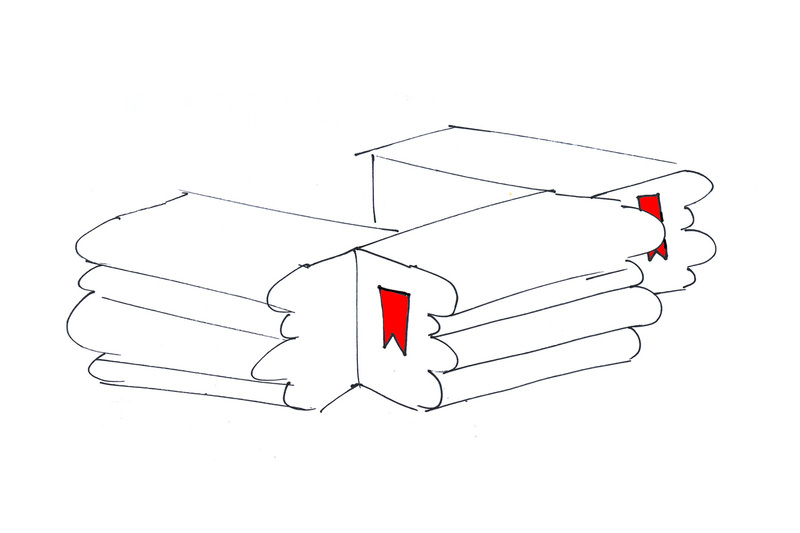 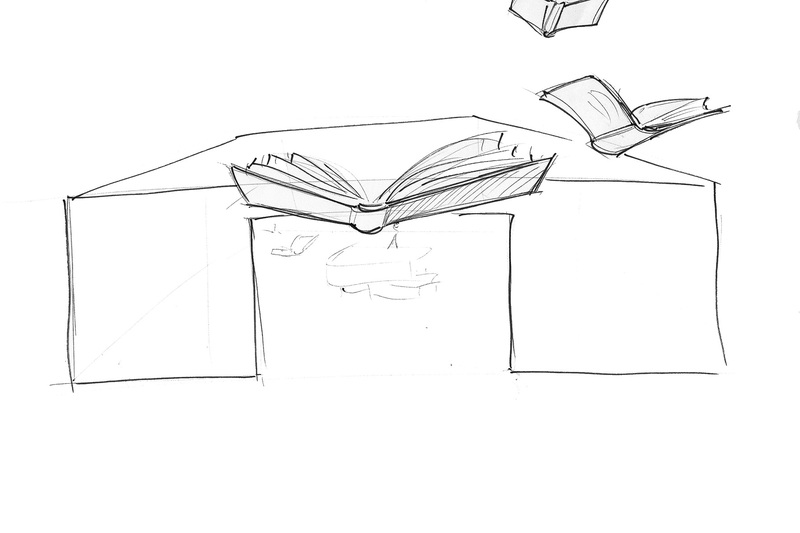 And finally the book ribbon plays a central role in the entire store navigation. 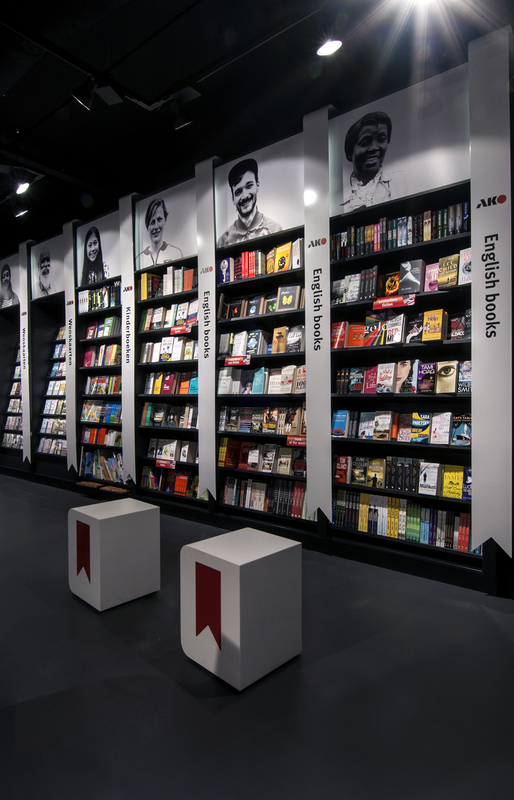 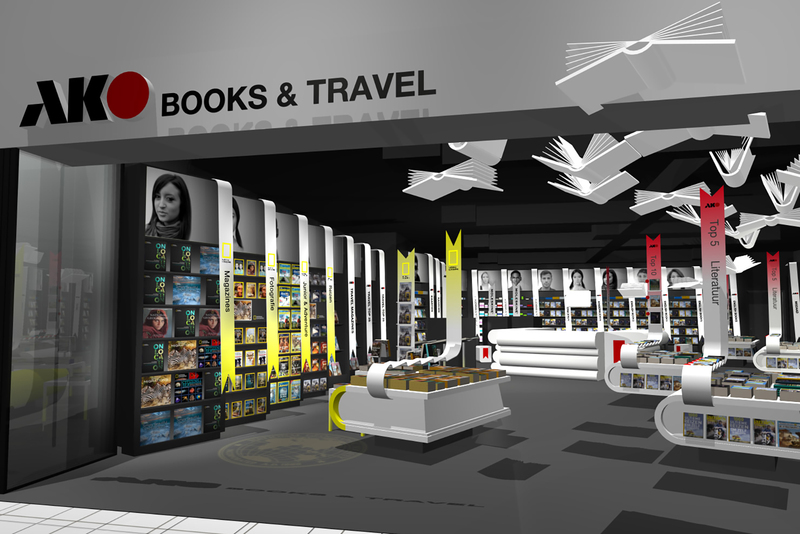 The result is a spacious store, mainly filled with travel books, shop-in-shops by Lonely Planet and National Geographic and a reading area where you can read about places you’re about to visit or dream away of exotic destinations that are high up on your bucket list. 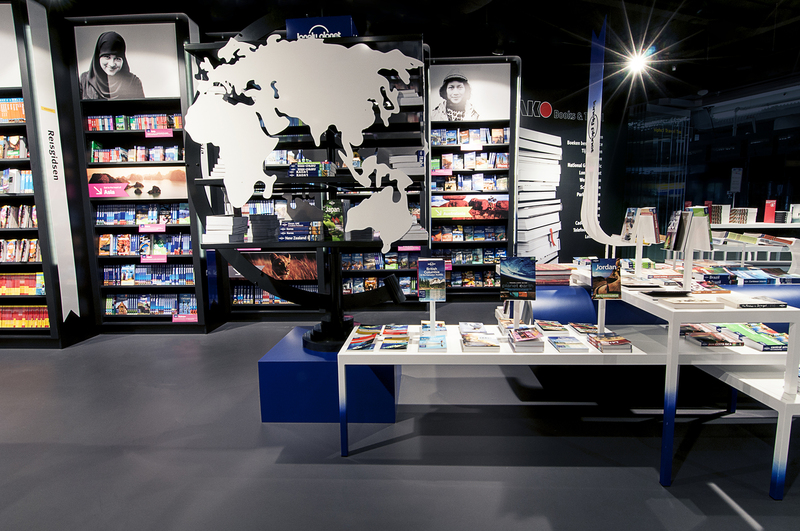 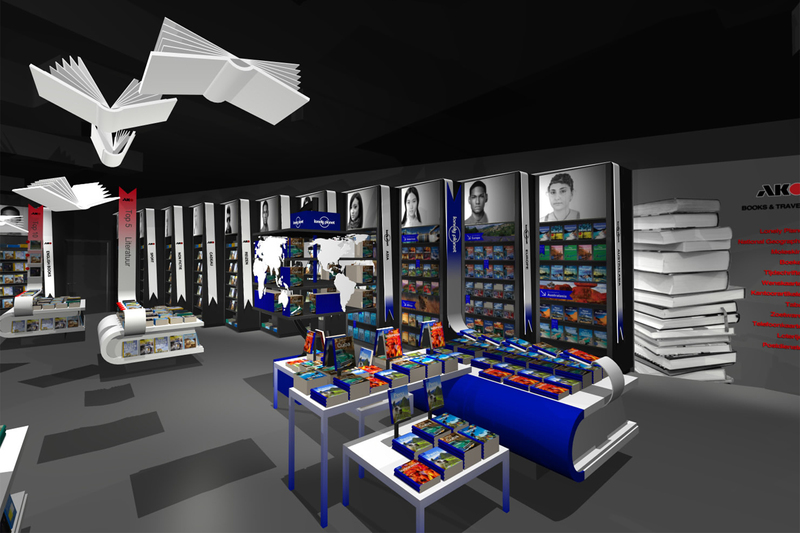 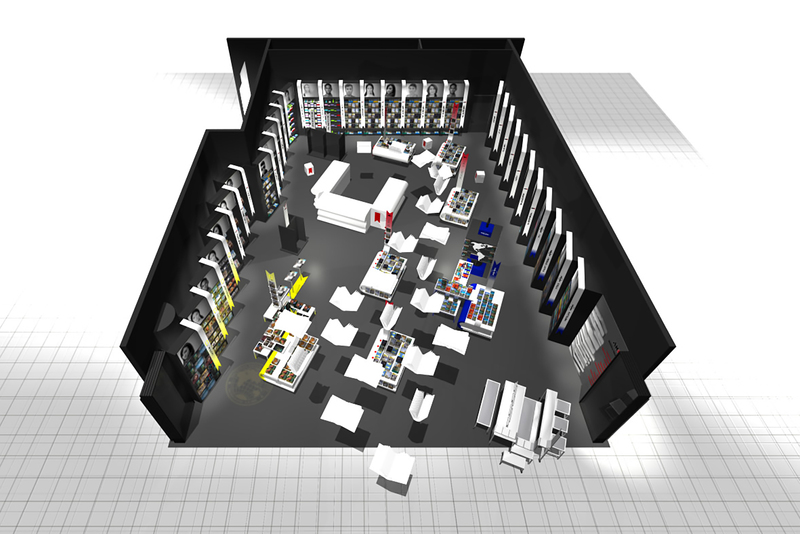 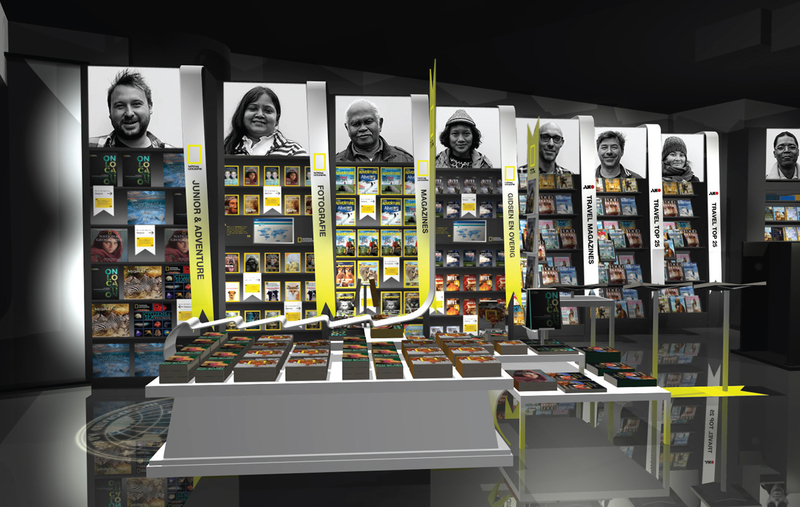 Costumers from all around the world are represented above the shelves, portrayed by Floor Knaapen. 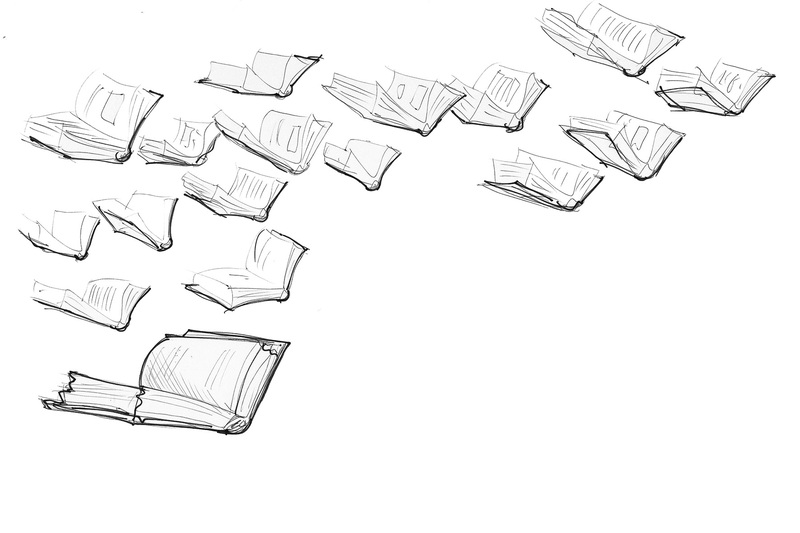 Copyrights, design and images belong to Tjep. 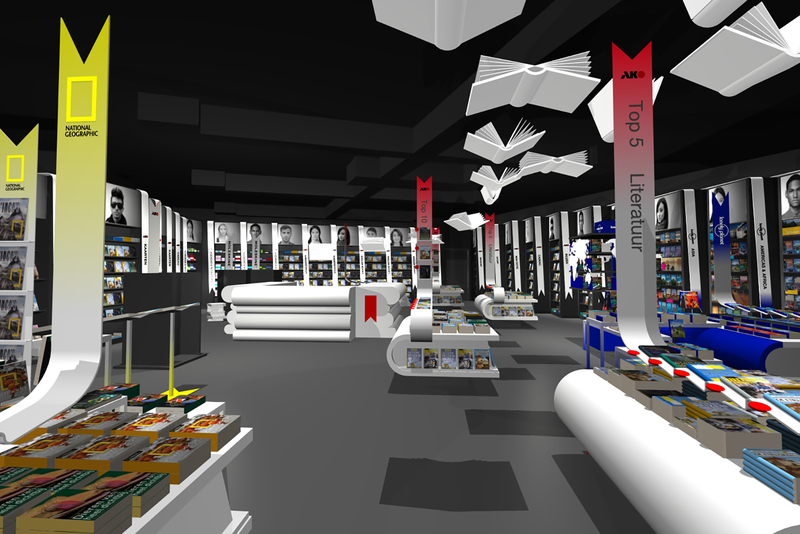 Click here to view this project on Tjep.’s website.